The CIA may face new legal challenges over its destruction of videotapes showing the waterboarding of terror suspects, NBC News reports, just two days after a special prosecutor cleared the agency's former top clandestine officer and others of any criminal charges for destroying the records. The decision not to prosecute anyone in the videotape destruction came five years to the day after the CIA destroyed its cache of 92 videos of two al Qaeda operatives, Abu Zubaydah and Abd al-Nashiri, being subjected to the harsh interrogation technique, a form of simulated drowning. The deadline for prosecuting someone under most federal laws is five years. A spokeswoman for the National Archives and Records Administration, however, told NBC on Wednesday that the government's official records keeper may well reopen its own investigation into whether the CIA's destruction of the tapes was a violation of the Federal Records Act. The law prohibits any government body or individual from destroying government records, "regardless of physical form or characteristics," without first clearing the action with the Archives. A law professor who's examined the CIA's move told NBC the videotapes would almost certainly fall under that definition. "We're not going to let this drop," Susan Cooper, the Archives spokeswoman, told NBC. The National Archives put its enquiry into the videotape destruction on hold after being stonewalled in 2008 by the CIA in its request for further information. The spy agency said they couldn't offer details to the Archive because of the pending criminal investigation - which ended on Tuesday when the special prosecutor cleared the former agents of charges. According to NBC, the National Archives may consider further action if they do not hear back from the CIA "shortly" with an explanation of its decision to destroy the tapes. Meanwhile, another part of the special prosecutor's nearly 3-year-old criminal investigation, examining whether U.S. interrogators went beyond the legal guidance given them on the rough treatment of suspects will continue, a Justice Department official said earlier this week. The official spoke on condition of anonymity because that part of the probe is still under way. CBS Radio News senior legal analyst Andrew Cohen said the lack of criminal charges came as no surprise. "Clearly the Justice Department felt that a public trial about how and what the CIA does with its evidence would not be in the government's interest and would be difficult for the government to win, and I think that's why we see the end to this," said Cohen. 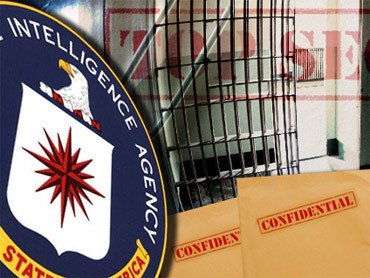 Jose Rodriguez, who was the CIA's top clandestine officer when the tapes were destroyed, worried that the videos would be devastating to the agency if they ever surfaced and approved their destruction. Rodriguez's order was at odds with years of directives from CIA lawyers and the White House. Rodriguez' lawyer, Robert Bennett, said the department made "the right decision because of the facts and the law" and called his client "a true patriot who only wanted to protect his people and his country."